Bite size croissant baked in pumpkin custard. 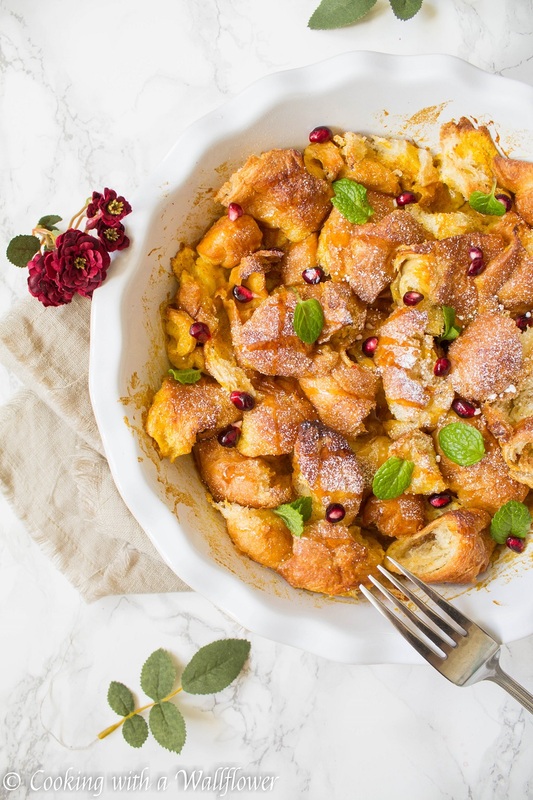 Crispy on top and custardy in the center, this pumpkin croissant French toast is delicious and a perfect choice for breakfast. I am soo not used to Daylight Savings yet. I love the idea of waking up and going to work with the sun already up, but I don’t love leaving the office at six and finding it completely dark outside. It’s the only downside of fall in my eyes. Everything else <3 Does anyone else feel the same way? Let’s talk breakfast! For like the millionth time. 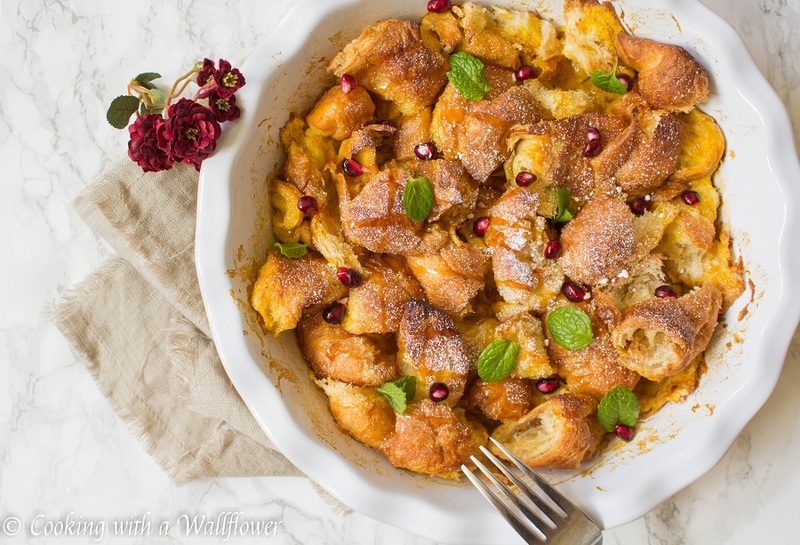 Today, we’re taking leftover croissants and making it into a pumpkin croissant French toast, perfect for fall! I know, I know, it sounds totally ridiculous that there are even leftover croissants. But when you buy croissants and pretty much everything else in bulk from Costco, you’re bound to have leftovers. Of like everything. Seriously, we never seem to learn. A mountain of toilet papers and paper towels in the closet, a ton of granola bars waiting to be eaten, toothpaste to last forever. I don’t know how we manage to store everything! But for me, it’s always fun to try to repurpose ingredients, especially when there’s so much of it that we’re having trouble finishing. Croissants torn into bite size pieces then soaked in an egg, pumpkin puree, pumpkin pie spice, a little bit of sugar, and vanilla extract mixture. Place the baking dish in the oven and bake the croissant French toast until the top is buttery and crispy and the center is custardy. Drizzle maple syrup and sprinkle powdered sugar over the top. Then serve the pumpkin croissant French toast warm. You’ll want to try this for breakfast sometime soon. It’s the perfect way to start your fall mornings. 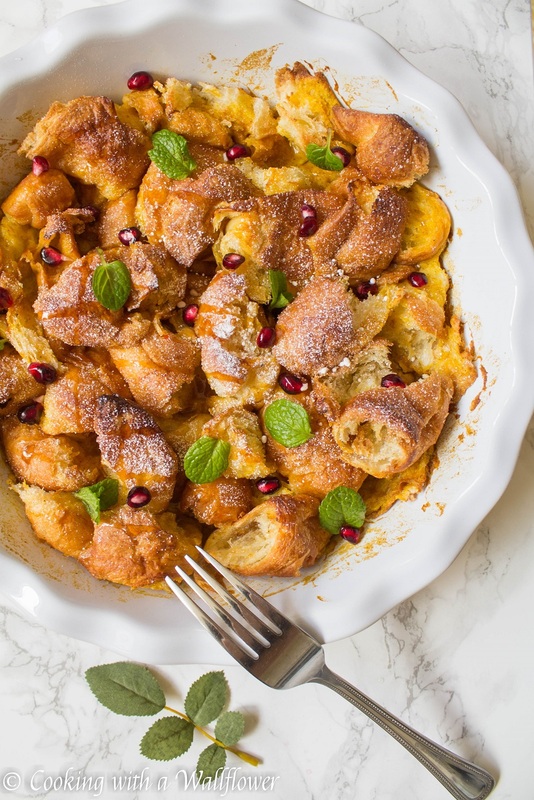 You can find this Pumpkin Croissant French Toast recipe on Ask Anna. 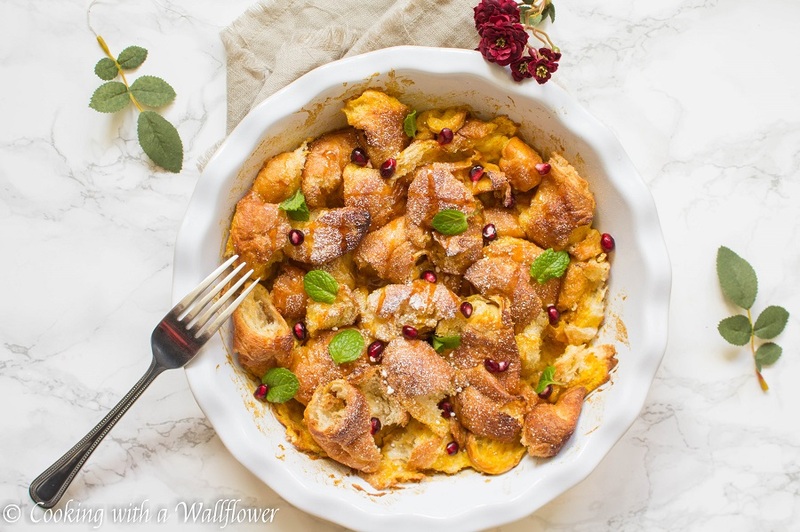 This entry was posted in Breakfast, Fall Cravings, Quick and Easy, Recipes, Vegetarian and tagged breakfast, fall recipe, pumpkin, quick and easy.